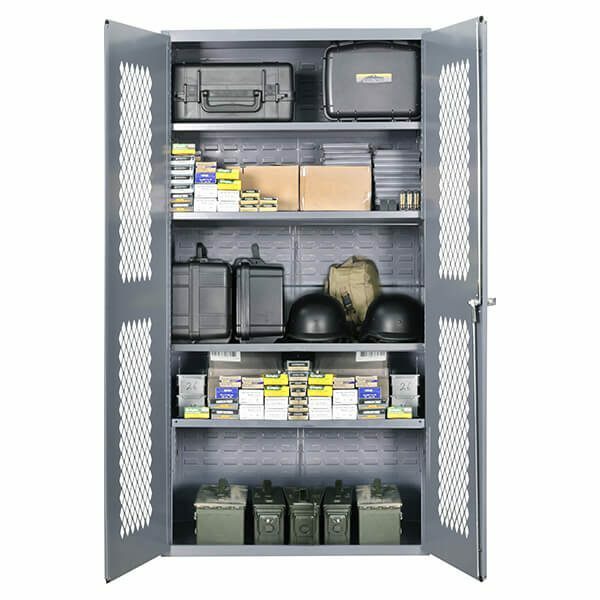 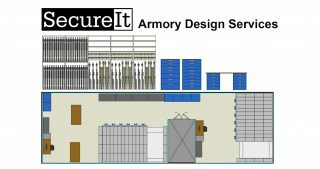 Tactical gear can be conveniently stored in this cabinet with steel mesh, bi-fold doors and four repositionable shelves. 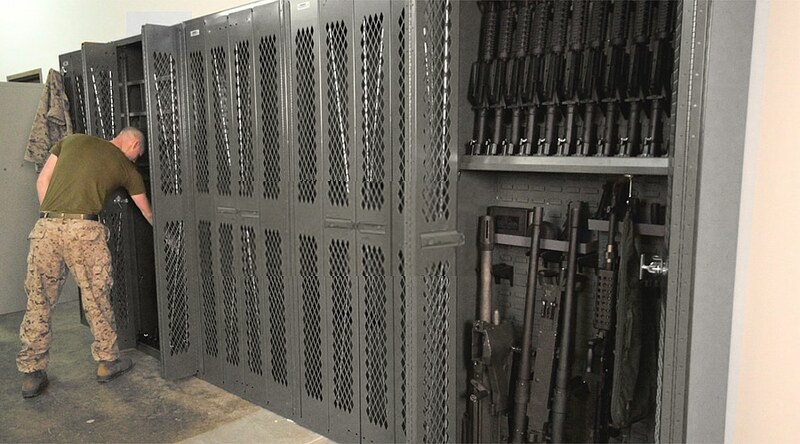 Stores ammunition, optics, personal gear and any high-value firearms accessories. 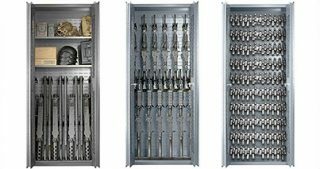 Can become a firearms storage cabinet by adding the base and cradle accessories. 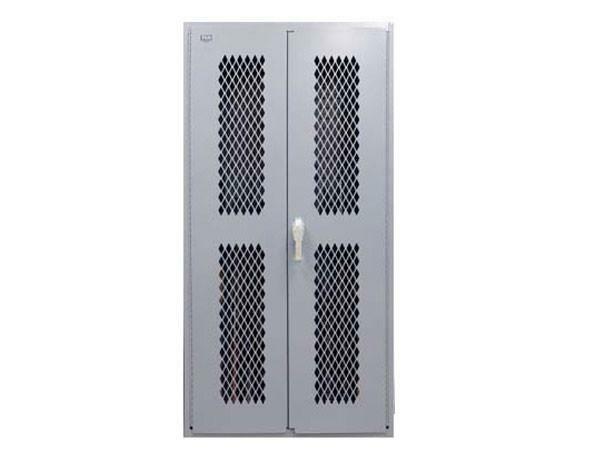 Compatible with the CradleGrid system.